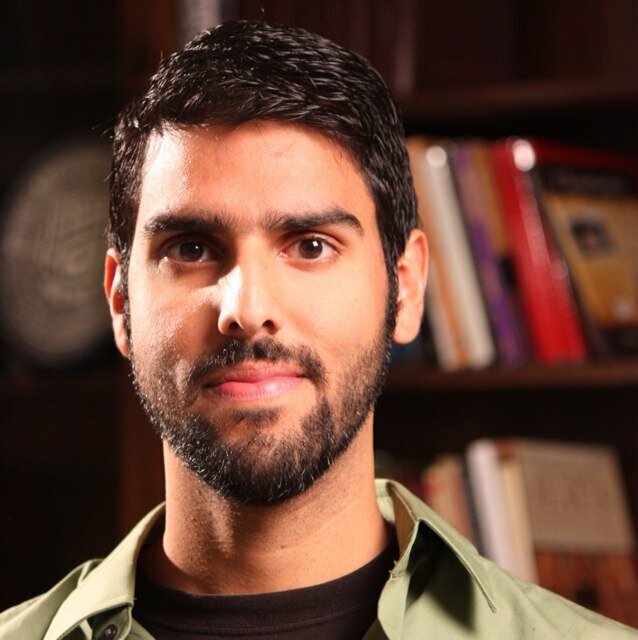 I have been an enthusiast for the apologetics ministry of Ravi Zacharias for several years. So, I feel compelled to respond to recent allegations of impropriety, as reported in ChristianityToday magazine. Ravi Zacharias, his radio program Let My People Think, and his ministry, RZIM.org, have blessed the church with excellent materials in Christian apologetics. Our church was edified when Ravi came as a guest speaker several years ago, and I personally have taught several Adult Bible Classes, using Ravi’s material. Long-time Veracity readers will observe that we link to RZIM resources multiple times. I am still encouraged by the quality of Ravi’s work and ministry, for the sake of the Gospel. I am therefore disappointed to learn of the recent allegations, that Ravi has misrepresented his academic credentials, over the years. I knew that Ravi had a Master of Divinity degree, but that he never has pursued an academic doctoral program, of any sort. However, he has received “Honorary Doctorates”. What I did not realize, is that this has led a number of Christians to mistakenly refer to Mr. Ravi Zacharias as “Dr.” Ravi Zacharias. RZIM has responded that it has been customary, in certain cultures, where Ravi goes, that they refer to him as “Doctor,” out of a sign of respect for elders. This is evidently so. But it is inappropriate to go by the status of “Doctor,” in all cultural contexts. This may not be a big deal for some people, but I would disagree. In an American context, calling someone “Doctor” gives the mistaken impression that the individual has earned an academic degree, when it was actually only an honorary degree. The two are not equivalent. If someone practicing medicine claims to be a “Doctor,” but has not an earned degree, this would be misleading. The same standard ought to apply to Christians who pursue academic work, to further a ministry. So, it is disturbing to learn that RZIM itself did not immediately and thoroughly self-correct this issue, when it was first raised two years ago, in 2015. First, Christian leaders should stop the continued practice of accepting the title of “Doctor,” when it is only honorary degrees that have been conferred, and not PhDs. This practice is misleading, and Christian leaders should act in a manner that is above reproach. Politely demurring is good, but insufficient. Public, academic records should be set straight. Secondly, as the Scriptures teach (Romans 3:23), all of us have failed at different points in our lives. Ravi Zacharias is no exception. Neither am I. Neither are you. Thirdly, Christians should be on the forefront of telling the truth. Waiting for critics, like the “Friendly Banjo Atheist”, to point out our faults, is not good enough. Waiting two years before fully addressing problems with claims of misrepresentation and fact-checking issues, even if it was inadvertent, is not good enough. As apologist Randal Rauser writes, “When it comes to effective apologetics, it is important to have clear, concise, and logically valid arguments with plausible premises. It’s also important to have good rhetoric, a touch of humor, savvy cultural awareness, and a dollop of self-deprecation….While that is all important, the most important aspect of any effective apologetic is credibility. Credibility depends on demonstrable integrity. And integrity depends on conduct that is absolutely above reproach.” An apologetics ministry, no matter how good it is, that raises questions regarding personal trust, actually undermines itself. Fourthly, the whole business of admirers calling Ravi “Doctor,” has been completely unnecessary. The effectiveness of Ravi’s ministry stands on the quality of his arguments, reasoning, and rhetoric, not by misleading claims of holding certain academic credentials, that he never did. Ravi has his own issues, yes. But I find it disturbing that a radio listening and book reading Christian audience lacks the basic skills of spiritual discernment, that should insist on fact-checking sources and upholding standards of accountability. I had the privilege of meeting Ravi Zacharias, when he visited Williamsburg, and our church, those few years ago. I found him to be a most gracious, genuine, and caring man. He is on the “front-lines” for the Gospel, so it comes as no surprise that he would have critics. Steve Baugham may have an axe to grind, but nevertheless, the grist for the mill has at least some substance. The current crisis Ravi Zacharias is experiencing is surely painful, and those who have benefited from his work should earnestly pray for him, and the rest of the RZIM ministry team. This is not an unrecoverable situation. Contrary to Baugham’s conclusion, at the end of his video, I personally believe that this is an opportunity for RZIM to make something right out of this. Let us pray that Ravi, and those who work with him, will learn these painful lessons and do the right thing. UPDATE: December 7, 2017. RZIM’s public statement on the federal lawsuit. Also, if you check the Wayback machine, for June 26,2016, for the Oxford Centre, an Christian study center in Oxford, England, you will see that under endorsements, it lists “Dr. Ravi Zacharias” and “Revd Professor Alister McGrath.” This is altogether strange, as Ravi has no PhD, and Alister McGrath has several. RZIM helped to start the Oxford Centre. Why would Ravi be listed as “Dr.,” but not Alister McGrath? Thankfully, the Oxford Centre has since fixed the issue. But it leaves open the question as to why the folks at RZIM, who probably were the ones who put up the website, let this error go unnoticed and uncorrected, for so long? Ah… this is frustrating! I made contact with someone at RZIM (Vince Vitale) to discuss the academic credential issue. I report on this really good conversation, as an addendum, to a related post, published earlier this year. Ravi Zacharias carries ministry credentials from the Christian and Missionary Alliance (C&MA). The C&MA recently concluded their investigation into the controversy. Their conclusion? Jesus Among Secular Gods, by Ravi Zacharias and Vince Vitale. Addresses issues that were missed in Zacharias’ earlier work, and geared towards today’s college student. (December 8, 2017): PLEASE READ THE VARIOUS UPDATES ON the ENTIRE POST BELOW. Thank you…. When I first read Ravi Zacharias’ book, Jesus Among Other Gods, published in 2000, others and I were encouraged by what we considered to be a very readable exploration into why Jesus Christ is so fundamentally different, in a society that is constantly exposed to conflicting and competing truth-claims. So impressive was the book, that our church made a united effort to bring Ravi Zacharias to our church, and the campus of the College of William and Mary, for a weekend of messages, followed by dynamic public question and answer sessions. Though I still highly recommend Jesus Among Other Gods, I personally felt that the book lacked something important. Zacharias was great at showing the contradictions between various religious worldviews, but he did not adequately address the question of how one is to live in a world, where such conflicting truth-claims exist in the first place. It is one thing to consider the particular truth-claims of different religions. But why even chose any particular worldview at all? Why not just accept them all? 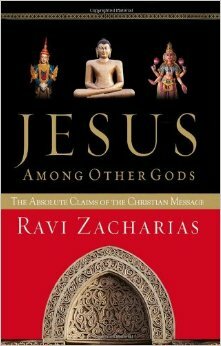 Jesus Among Other Gods, by Ravi Zacharias, 2000. For example, so many Christians enter into a relationship with someone who is a professing Muslim, Buddhist, or Hindu, with the idea that the other person is “Evil Incarnate.” However, these Christians are often confused when they soon realize that their new Muslim, Buddhist or Hindu friend, is often really a nice person. Are then all religions somehow “true?” An informed response is needed to this question. Oxford Dictionaries named the term “post-truth” as the 2016 word of the year. So, it is absolutely crucial that Christians begin to more clearly think through the relationship between “truth” and the Gospel, and start having better conversations with our neighbors about these issues. 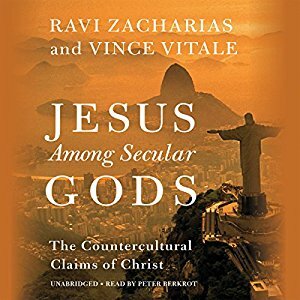 That is why I am really excited by a new book co-authored by Ravi Zacharias, and fellow associate apologist, Vince Vitale, Jesus Among Secular Gods. With chapter titles such as “Atheism,” “Scientism,” “Pluralism,” “Humanism,” “Relativism,” “Hedonism,” and “Love the Truth,” Jesus Among Secular Gods has great potential to be a great discussion starter among our neighbors. Ravi Zacharias and Vince Vitale travel the world, speaking before audiences, sharing their faith and answering objections to the Gospel of Christ, through Ravi Zacharias International Ministries. Zacharias is featured on a weekly syndicated radio program, Let My People Think. Below is a 12-minute discussion about the new book. I have not read the book yet, but if you have, please share your review in the comments section below! UPDATE: December 7, 2017. I am sorry to say that I did not adequately review the video below, before posting. For if I did, I would have caught the fact that Vince Vitale introduces his fellow co-auther as “Dr. Ravi Zacharias.” This is most unfortunate, as I knew that Ravi Zacharias, though clearly a gifted speaker and writer, and a most intelligent, Christ-loving man, has never earned the doctoral equivalent of a PhD, in any field. Ravi has received Honorary Doctorates, but this does not qualify anyone to be called a “Doctor,” especially when one’s ministry field is to students and professors in higher education. I would hope that this was simply an oversight, an honest mistake, on both Dr. Vince Vitale’s (who truly is a “Doctor”) and Mr. Ravi Zacharias’ part. I still have not read the book, but given what I have read before from Ravi, I still think it would be most helpful. Nevertheless, I regret the error on my part. For more information, please read this more recent blog article about this issue. UPDATE: December 8, 2017. For those who have been following this, as someone who values the work of RZIM, I have had trouble sleeping, and I thought it best to try to reach out to someone at RZIM (this is the biblical way to do it). So, I contacted Vince Vitale directly and expressed my concerns, as this whole episode has been terribly frustrating to me. Thankfully and graciously, Dr. Vince Vitale took the time out of his day, and called me from Oxford (how many times does that happen?). We had a great conversation and I was thoroughly impressed by his integrity. Vince deeply loves Ravi, and greatly respects him, so it was only natural to address him, in a manner, that would befit showing such respect, to a fine Christian leader. However, Vince also told me that RZIM recognizes that using “Doctor” in this way is contentious in some circles, especially in academia, and that they desire to aim for complete clarity. From our conversation, it appears that he, and RZIM as a whole, are taking steps, in good-faith, to hear the concerns of me and others and to make sure that the way they speak about credentials is both accurate and unambiguous. Admittedly, people outside of academia might not care one bit about stuff like this, but when you are trying to minister to faculty and students, like we have in our local community, in a college town, it is important for ministers of the Gospel, to stand above reproach. So, I am very, very glad Vince Vitale personally is taking the right steps forward, and that he has been so generous with me. That is a mark of great character. Thank you, Vince!!! Truth is not relative. Truth is not—as Ogden Nash so eloquently wrote—that “people believe what they believe they believe.” Truth is not dogma. It is not—as Ravi Zacharias argues—logically inconsistent, empirically inadequate, or experientially irrelevant. Truth is incredibly important. Truth is the reason Jesus Christ was born and came into the world. Those who ascribe to a “that settles it (for me)” approach to the Bible tend to miss the beauty that comes from understanding how well it can withstand objective, historical, logical, philosophical, and (yes) scientific scrutiny. It takes a great deal of effort to “work out your own salvation with fear and trembling” (Philippians 2:12), but the juice is worth the squeeze. We don’t tell people what to think on Veracity, but we’re not afraid to share opinions. Rather than sticking our heads in the sand and ignoring challenges to the Bible and the Christian faith, why not take a hard look at these challenges and study the appropriate responses? Could it be that the reason some Christians are unwilling to address atheistic or skeptical objections is that, deep down, they fear the answers might be inadequate? Why upset the applecart when it is settled (for me)? Could it be laziness or complacency? With objective truth as the basis for personal discipleship, our studies can become rich and full of awesome discoveries. Without it we’re apt to flounder, or even end up spiritually bankrupt. Okay, enough of my testimony. 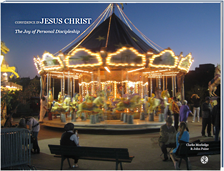 In addition to J. Warner Wallace’s excellent video on The Case For Truth, there are two essays I would recommend for anyone interested in personal discipleship. The first is a brief blog post by Ravi Zacharias entitled “Deep Questions.” The second is a paper delivered by J.P. Moreland at the Evangelical Theological Society, November 18, 2004. Click on the images below to read these essays.